The Shiv Sena had Monday said it would always be the "big brother" in an alliance with the BJP in Maharashtra, and added that no such proposal had been received from the latter. MUMBAI: Amid the uncertainty over its alliance with the Shiv Sena, the BJP Tuesday said it wants to join hands with the Uddhav Thackeray-led party as they share a common ideology and can provide a steady government. "We do want the alliance with Sena only because of our common ideology. 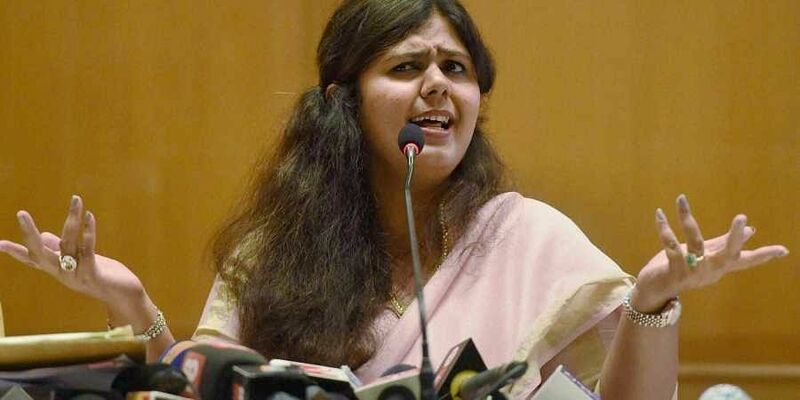 We can offer a steady government through such an alliance," BJP leader and Maharashtra minister Pankaja Munde said here. "But if someone does not want to join hands, then we are ready to face the elections on our own," she said in response to a query. However, countering Sena's claim of being the "big brother", Chief Minister Devendra Fadnavis, while speaking at the valedictory function of a day-long meeting of the state working committee of the BJP in Jalna, hit back saying his party was not seeking a tie-up desperately. Several BJP ministers in the state have stated earlier that an alliance with the Sena, which has often been critical of the BJP-led government, is needed to keep anti-Hindutva forces at bay. The Sena had said last January that it would go it alone in all future elections. Till 2014, the BJP and Sena, allies for long, had an understanding where the former contested a larger share of Lok Sabha seats and the latter contested a greater number of Assembly seats in Maharashtra. In the 2014 Assembly polls, which the two parties fought separately, the BJP won 122 seats against Sena's 63. The Sena later joined the government in the state as a junior partner.